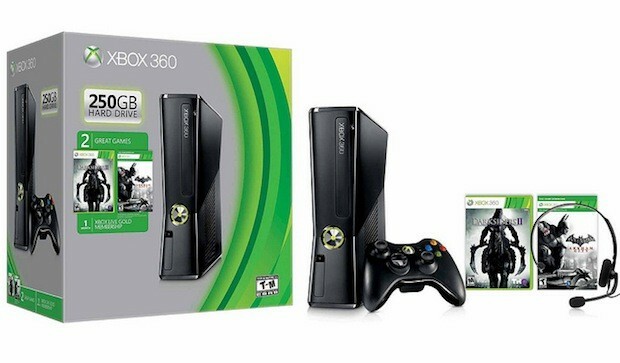 Sure, the next wave of gaming consoles may be arriving pretty soon, but while we wait for the PS4 and whatever Microsoft has in store for us, why not have yet another Xbox 360 bundle to choose from, right? Today the Redmond-based company released its Spring Value set, which includes that slim console with 250GB of storage space (as well as the accustomed peripherals, of course), one month gratis of Xbox Live Gold and, perhaps to make it all worthwhile, Darksiders II and Batman: Arkham City -- although the latter of the two will be available via download code rather than as a physical copy. Folks that call the good ol' US of A home can snag the fresh bundle starting today for $299, which is on par with similar bundles that Microsoft's released in the past -- granted it's not as sleek-looking as some of the pricier ones. When Kellee Santiago resigned from her previous gig as president of thatgamecompany, she left behind a job running one of the most highly acclaimed indie game studios in the industry. But she left on a high note, having helped craft Journey -- not just one of the best games of 2012, but a high mark on the medium. Her next move is similarly bold, taking the reins of the Android-powered OUYA console's digital content library as "Head of Developer Relations." On Santiago's LinkedIn profile, she describes her new job as, "curator of content for the games section on OUYA" (among other things); a job she's plenty qualified for given her time on the board of the Indie Fund (an angel investment group of successful indie game devs). "This role seems almost like a logical extension of everything I've done up to this point," Santiago told us in an email interview this afternoon. Indeed it does. 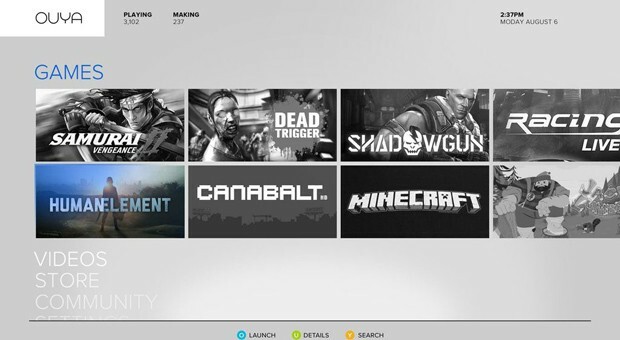 In her new role at OUYA, Santiago will be "working with many developers globally and in different capacities," she said, as well as managing the digital library that users at home see. "I'm very passionate about empowering new voices in game development so we can have more variety in game content -- that's what initially led me to co-founding thatgamecompany, and Indie Fund, and working with the Independent Games Summit, and IndieCade," she added. The job of course includes courting devs, even if that means OUYA assists in the funding and publishing of those devs' games. "OUYA is doing both," Santiago told us -- that's no doubt assisted by the $8.5 million OUYA pulled in during its Kickstarter funding campaign. Despite her passion for indies, she said there's no "arbitrary restrictions for developing on OUYA," and that her guiding principle is identifying, "developers and content that for whatever reasons wouldn't be able to exist on any other console." In other words, there's no reason one of the biggies -- think EA, Activision, Ubisoft and others -- couldn't get in on the action. Square Enix has already promised a variety of titles, so it seems a given that others will sign on. One developer who's still curiously uncertain about the console, however? Santiago herself. Though she teased on Twitter earlier today that she'll, "still be making stuff, too," and not to worry, she wouldn't offer us any more details about her plans for development on OUYA. Again, it seems a given, but we can't help but want to know more sooner than later. Kids can be rebellious. I say give a rebel kid a rebel bed. 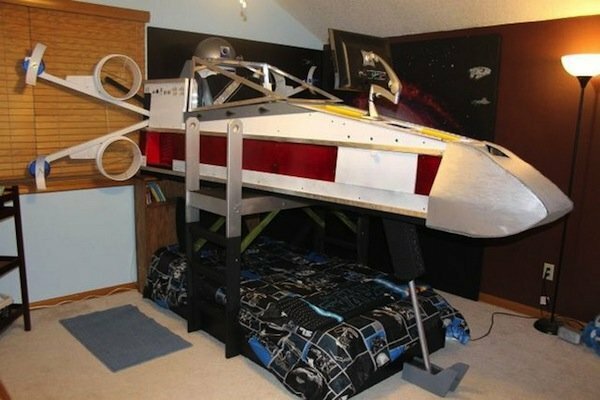 A rebel X-wing Fighter bed like this one. Well, the bed actually sits beneath the body of the ship, allowing the kid to climb up into the cockpit. 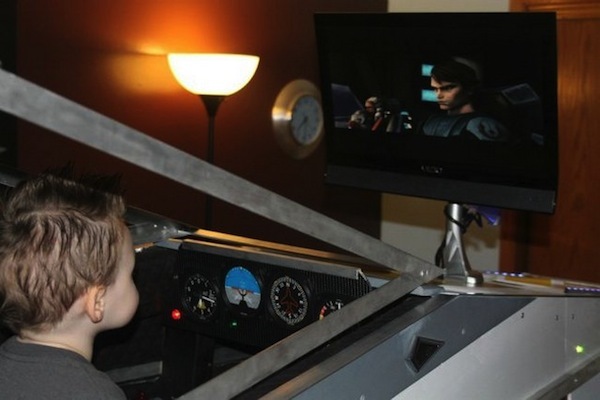 If I had had this as a kid, I would never have left my bedroom. The detail is pretty nice on this X-Wing bed too, with its Astromech droid, X-foils that open and close, and a cockpit where you can sit and watch DVDs on the screen in the nose of the ship. The owner of this bed sure is one lucky kid. 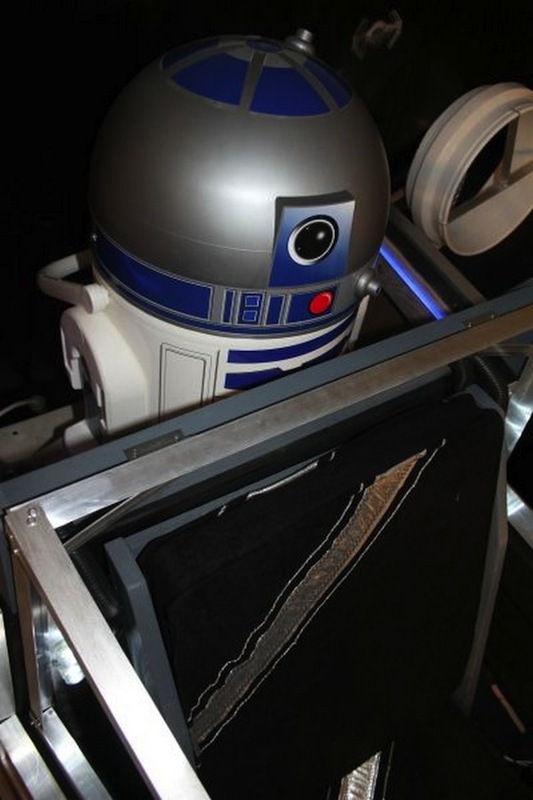 I hope he grows up to destroy a Death Star and earn some fame and glory. Common wisdom would suggest that executives talk up their existing device lines to keep customers buying until the next generation is ready. Leave it to Google CFO Patrick Pichette to think outside the box, if not necessarily for the better. He told guests at the Morgan Stanley Technology Conference that the current roster, while good, doesn't "'wow' by Google standards" -- it reflects the 18-month device pipeline that fell in Google's lap when it acquired Motorola last year. As such, we won't see the full fruits of collaboration until Google has owned Motorola for long enough to put its own spin on products. 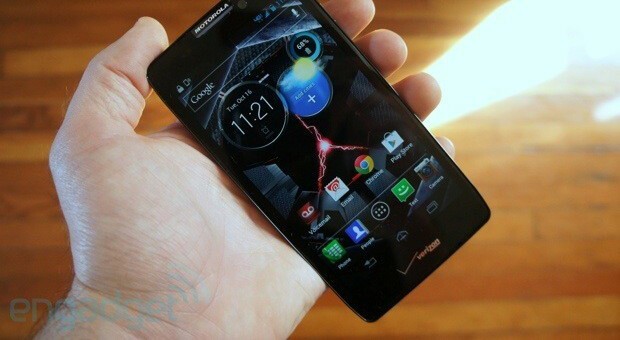 While the remarks stoke the fires of anticipation for any future flagships, they may have unintentionally produced an Osborne Effect: however advanced Motorola's phones will be in the near term, customers may still have the nagging suspicion that something better is just around the corner. Expand Photo Contest: Win a Samsung Galaxy Camera! Our first ever Expand event is around the corner, this March 16-17 in San Francisco. In addition to oodles of interesting speakers, there'll be shiny sights to see: robots, retro games, of course gadgets galore and a few surprises we haven't even unveiled yet. Wouldn't it be nice to be able to record said sights with your own state-of-the art camera? "Samsung's Android-powered Galaxy Camera is a bit of a wild card, marrying Google's Android Jelly Bean OS with a 16-megapixel camera - heck, it's even got a 4.8-inch 1,280 × 720-pixel (308 ppi) touchscreen display... the entire back consists of that 4.8-inch screen, edge-to-edge..."
Check out our full review for all the details and specs. Want a chance at nabbing this bad boy for your very own? Step 1 is to Like the Expand Facebook page. Step 2 is to use the entry form on our Facebook page to submit a photo you've taken of your favorite gadget, title the photo and give a short description about why it's your chosen top device. Team Expand will judge entries based on creativity, style and skill. Show us why you deserve a new camera! Good luck, and may the best shot win -- you have until this coming Monday, March 4 at 5pm EST to get your entry in. To be eligible to enter, you must be 18 years of age and a U.S. resident (please peruse the full rules). 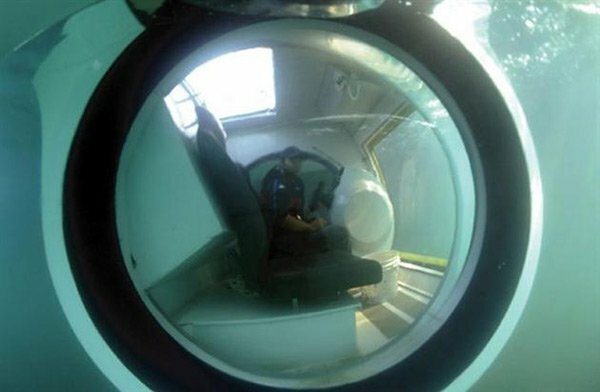 I’ve probably watched too many James Bond movies, but a personal submarine sounds pretty cool, no matter what. While this started out as a concept a couple of years ago, it’s actually available for purchase now. 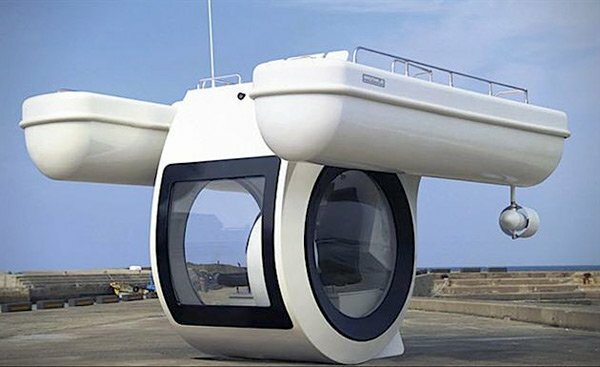 The EGO was designed by the Korean firm Raonhaje and they claim it the “world’s first compact semi-submarine.” This boat gives passengers the opportunity to observe underwater life via an enclosed core that’s always submerged under the water. I guess you’ll also be able to see sharks coming without having to put on your scuba gear. The upper deck of the boat allows passengers to enjoy the surface of the water as well. 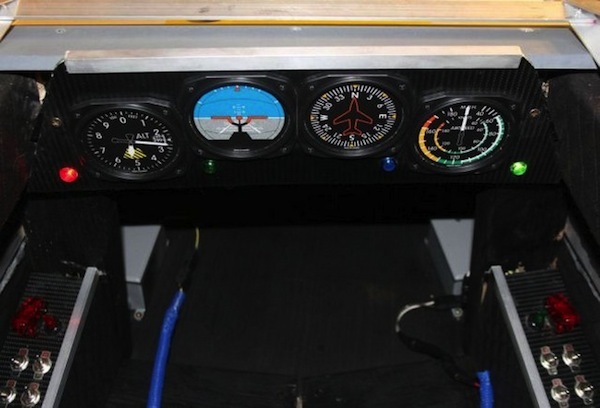 It’s powered by twelve 8-volt marine batteries, and run for four to eight hours on a single charge. You’ll have to contact Raonhaje in order to get a price for your own semi-submarine, and you can also try it out if you’re in Korea or there’s a dealer nearby. Is this really happening, again? Why, yes, it is. Following up on its massive MDR-X10 bass-pumping headphones from last year, Sony and Simon Cowell have introduced the MDR-X05. 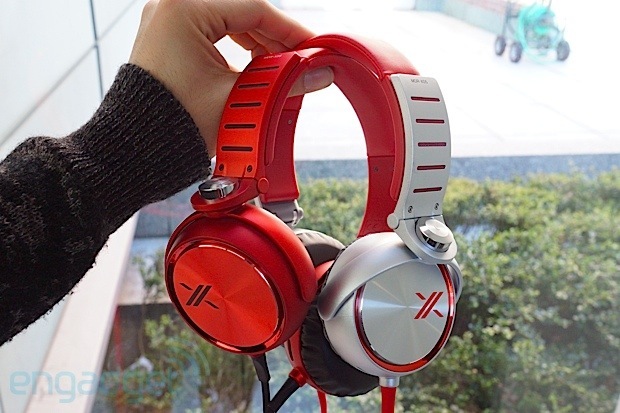 As you might take from the name, the cans are basically a smaller addition to the series, packing 40MM drivers (down from 50) and a few more color options (red/black, red/red, white/silver, red/silver and black/silver) -- some of which do the headphones more justice than the silver/red colorway we got our mitts on previously. As far as we can tell, by the way, these are very likely a re-badge of the MDR-X400 headphones for the American market. As you'd expect, the cans fold flat for storage and feature an iDevice-compatible inline remote and mic. Unlike the X10, the tangle-proof flat cabling isn't removeable and connects using both earcups, but the connections seem robust enough to handle a good bit of torture. Because the same materials and finish are used on the X05 as the X10, the headphones feel virtually the same in-hand -- a bit plasticky, but solid overall. The headphones may be smaller, but they still manage to feel nearly as cosy and isolate a fair amount amount of external noise as their bigger brother, mostly because they're packing the same style of plush memory foam earpads wrapped in synthetic leather. As far as sound quality goes, the bass push on these is just as smooth and open-sounding as the X10, but the high-end is noticeably harsher -- we definitely felt the need to turn on "treble reducer" in our iPhone's EQ settings. If you're bass-hungry ears are interested, the X05 headphones are up for pre-sale at Sony's online store for $200 (100 less than the X10), but the smaller discount won't make them look any less loud on your ears while you're out and about. You can expect 'em to hit shelves March 22nd. For now, find more details in the press release after the break. 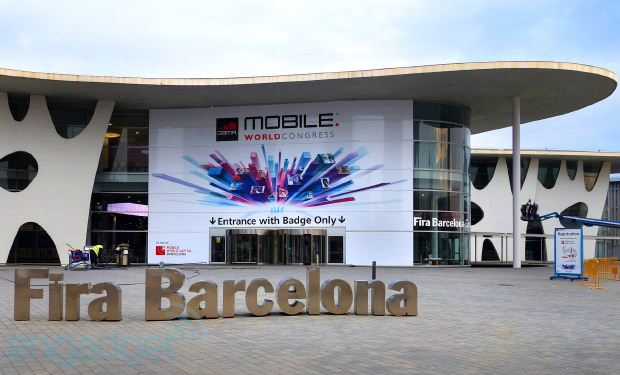 Another Mobile World Congress has come and gone. While we weren't treated to a mountain of device launches, as seen in previous years, we definitely all came away with some favorites. LG outed a few handsets, HTC's One made its first public appearance and Firefox OS made a grand entrance with additions to the new platform from a few different handset makers. And, on the wireless side, we were treated to what has to have been the biggest NFC love fest we've ever witnessed. Follow on past the break to check out some of our favorites from this year's MWC, then weigh in and let us know what you think about the show.